Your hotel will be comfortable, clean, and safe. 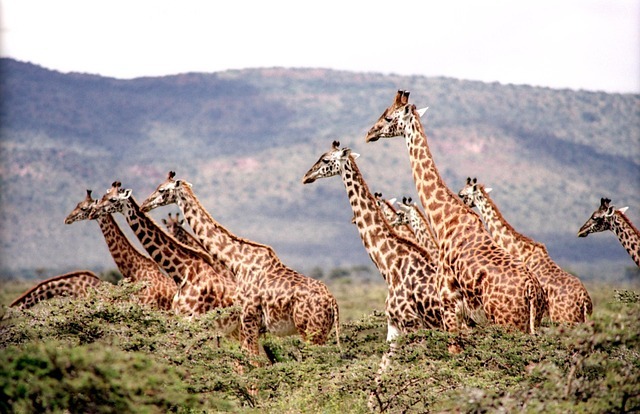 You will be in one of the most beautiful areas in all of Tanzania, surrounded by protected game parks, volcanic craters, and the highest mountain in Africa, Mount Kilimanjaro. Each day you will travel out to small villages to provide health care. Each evening will be filled with wonderful local food and a beautiful place to call "home"! Included in your trip will be a traditional Tanzanian Safari. After an arduous clinic schedule, the team will see some of the world’s most amazing animals “up-close” on your exclusive one-day safari. On your safari you will witness the harmony of numerous species of wildlife rarely found in any large quantity anywhere but Tanzania. See the "big 5" - lions, rhinos, elephants, buffalo, and leopards - and don't forget your camera! The Arusha area is one of the best places in Africa to see the these amazing animals! You and the team will fly into the Kilimanjaro International Airport on June 8th and transfer to your hotel for the next week in Arusha. The required arrival to your hotel is 5:00pm on June 8th. If you are flying on an IMR group flight your airport transportation will be provided for you. If you are flying independently and wish to arrange transportation from the airport for a small fee, please contact our office at office@imrus.org. Wake up to breakfast provided to you at the hotel and attend the required team orientation to further prepare you for clinic! Your team leader will assign your roles for clinic, go over our clinic protocols, and discuss the communities you will be serving in Tanzania. Wake up each day and have breakfast at your accommodation. After breakfast, pack the IMR clinic bags and depart for clinic! After an arduous clinic schedule, the team will see some of the world’s most amazing animals “up-close” on your exclusive one-day safari. On your safari, you will witness the harmony of numerous species of wildlife rarely found in any large quantity anywhere but Tanzania. See the "big 5" - lions, rhinos, elephants, buffalo, and leopards - and don't forget your camera! YES - We need your help to take IMR supply bags internationally to Tanzania! Take 2 supply bags for IMR both ways to Tanzania.